Cape Town - The DA on Wednesday evening said it would no longer pursue a complaint it lodged with the UK’s Chartered Institute of Public Relations (CIPR) against one of its members who worked for disgraced PR firm Bell Pottinger on the Gupta account. The CIPR confirmed that the complaint had been withdrawn. The DA wanted to find out more about the work done by Bell Pottinger partner Kevin Read, including what brief Bell Pottinger had received from the Gupta family, but has now dropped the complaint. “The CIPR informed the DA that Mr Read did not respond to our complaint and failed to disclose any relevant information,” the DA’s Phumzile Van Damme said in a statement. “Therefore, we did not deem it necessary to continue with the complaint as he clearly would not form part of it nor disclose the brief he received from the Gupta family and Duduzane Zuma,” she said, adding that it “would have been a barren harvest”. Van Damme said the party still intended to uncover what brief the Guptas had given Bell Pottinger. “(We) have noted the media reports that Read and former Bell Pottinger partner Victoria Geoghegan intend on suing the PR firm. We trust that they will both use that opportunity to tell their side of the story and provide the full disclosure that the people of South Africa need,” she said. The CIPR is a separate body from the Public Relations and Communications Association (PRCA) . Following a complaint from the DA, the PRCA investigated Bell Pottinger’s conduct and ended up expelling the firm from the association in early September. The scandal-hit PR company has since gone into administration. 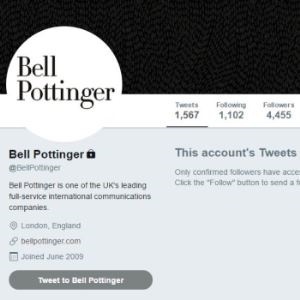 The CIPR said on Wednesday evening that Bell Pottinger had never been a member of it, although some Bell Pottinger employees were. “CIPR condemns without reservation the use of any such unethical, racially divisive or offensive tactics,” it said, in relation to findings by law firm Herbert Smith Freehills that Bell Pottinger had engaged in a potentially racially divisive media campaign in South Africa.